Ex360E HG (2013/05/25) is released. 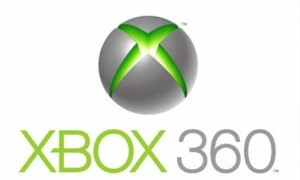 Ex360E is a highly experimental Xbox 360 emulator, for Xbox Live Arcade titles developed with XNA Game Studio. Very cool. Considering MS will eventually shutdown XBL for 360 we can still play some 360 XBLA games. It this Xbox 360 emulator on Windows ?! Скорее всего нет.. Так то эмуляторов 360 для винды нет нигде. Maybe it is this emulator for Windows. Cool stuff... though I doubt there'll ever be a working X360 emulator even 100 years from now. It's way too complex with XBL and all, I just don't see it happening. So.. this is an emulator of the XLA Games for Windows Systems? can on this emulator work games like naruto shippuden ultimate ninja storm???? So, only XBLA titles? Well, i will try to find some. Minecraft is not an XBLA Title right?